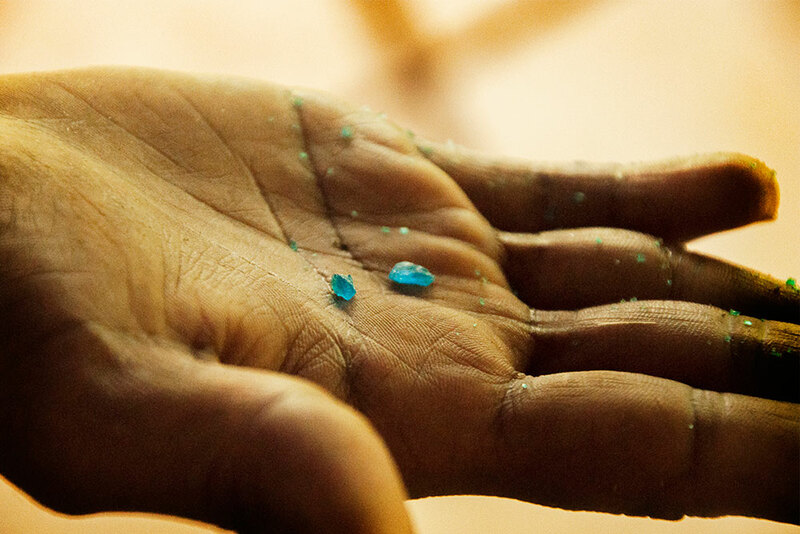 • Chemical Agent (copper sulphate crystal) - It is used as a preservative to protect silvers from cracking and to increase the resistance. • Big knife - Used for slice the bamboo culms. • Blade - Used to cut the thread. 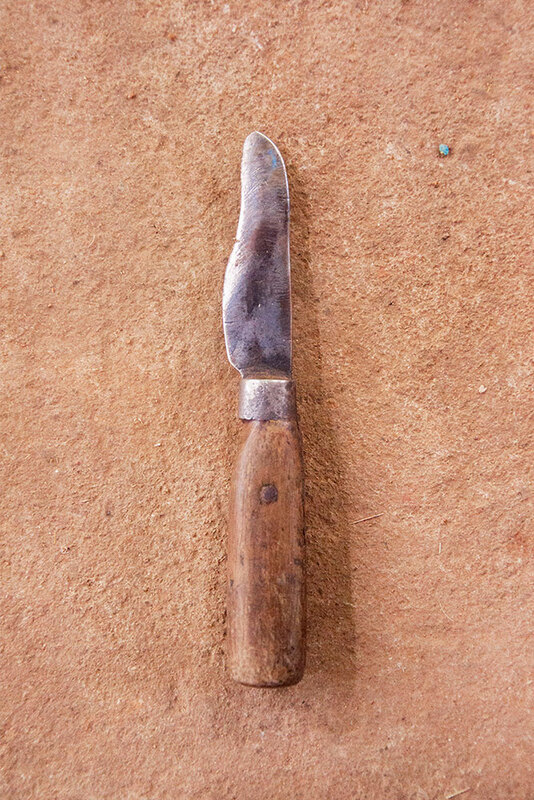 • Small knife - Used to cut extra bamboo sticks during making process. 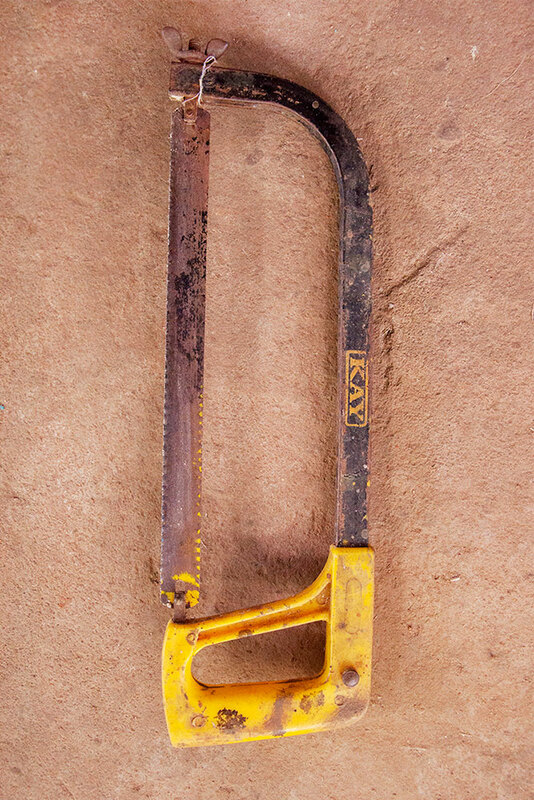 • Hacksaw - Used to cut the bamboo culms. 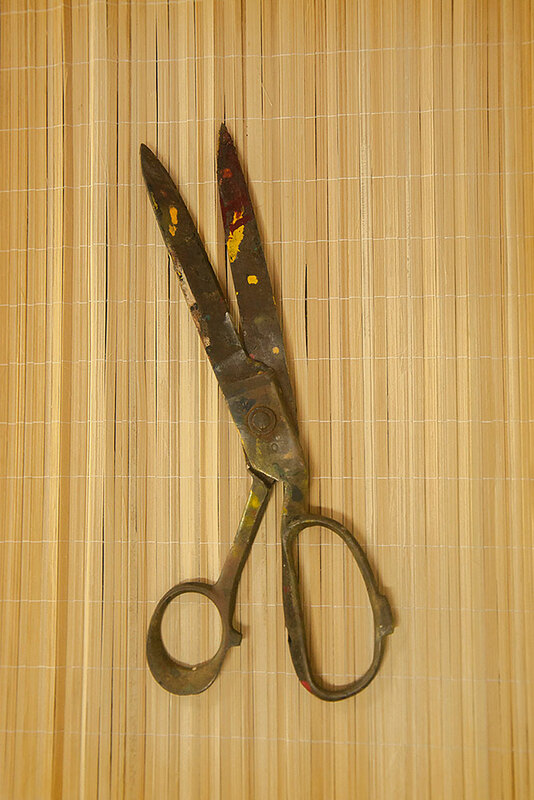 • Scissors - Used for cutting thread. 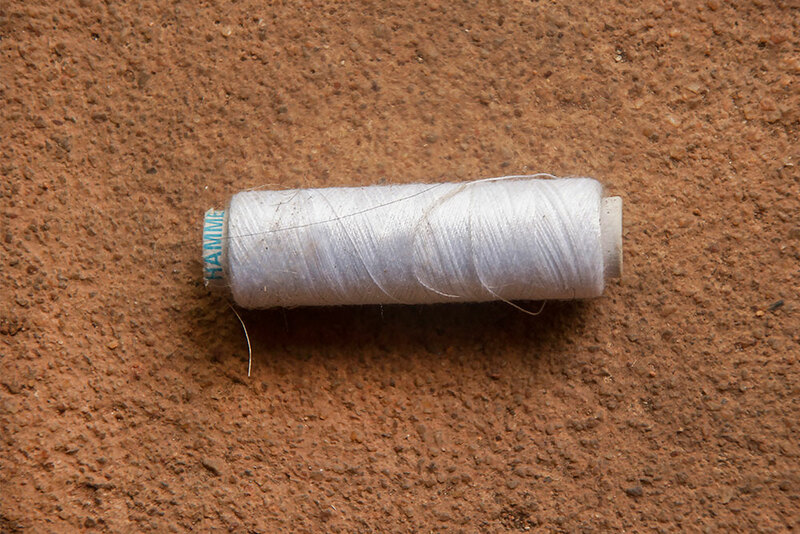 • Thread - Used for weaving the mat. • Hot press Machine - Is used for weaving the bamboo Mat. 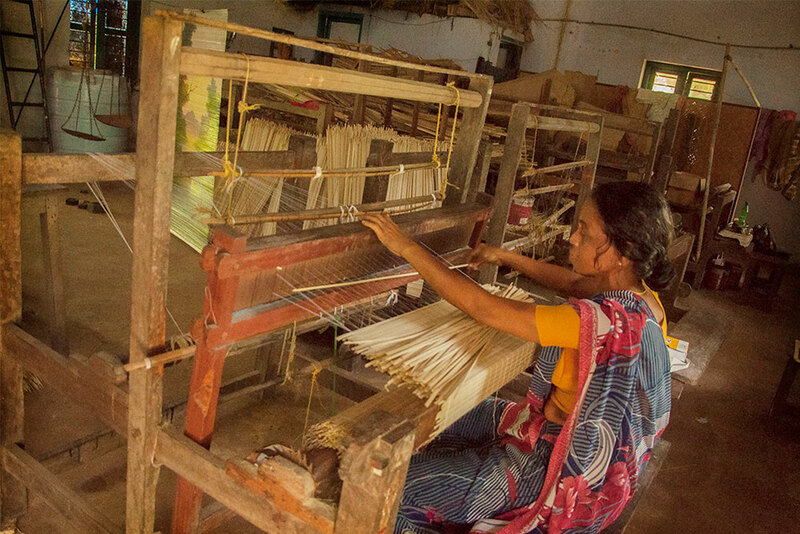 • Bamboo Mat Weaving Machine - Used to weave bamboo mat. • Stove - To burn the excess waste from mat after weaving. 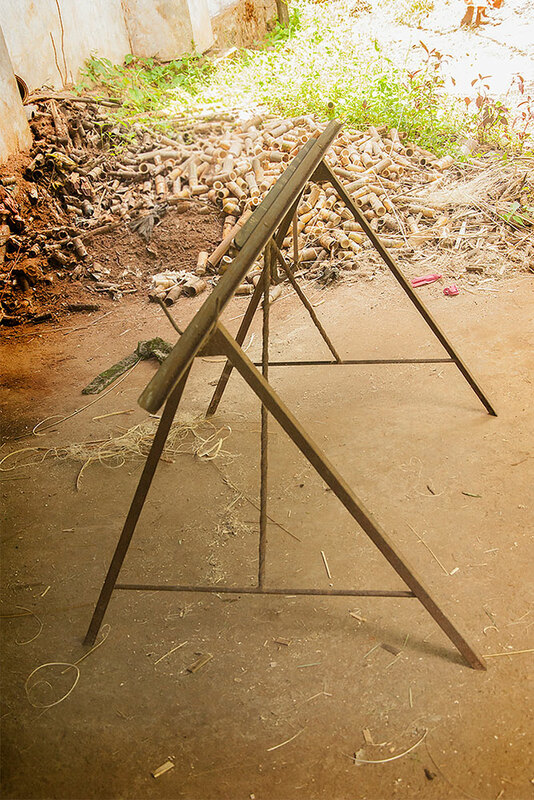 • Manual weighing scale - Used to weigh the bamboo strips once it is sliced. 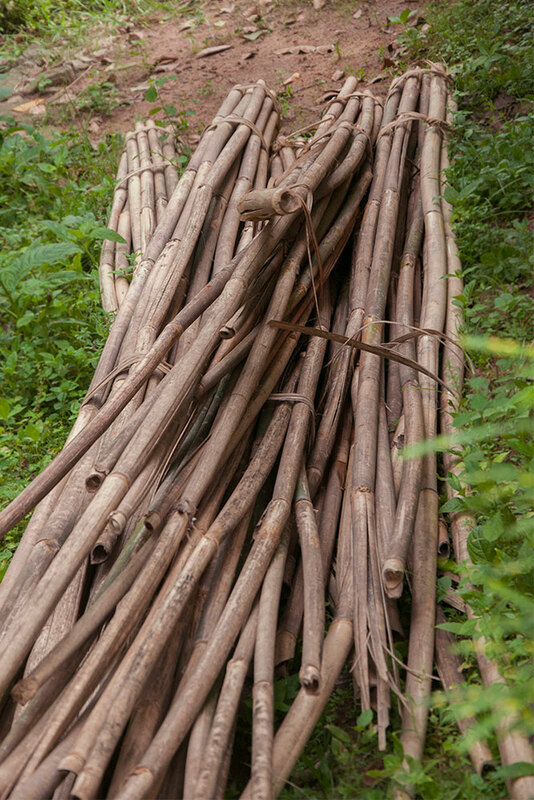 • Water Tank - To soak bamboo culms. • Bamboo Mat - It is used by artisan as canvas to create bamboo mat painting. 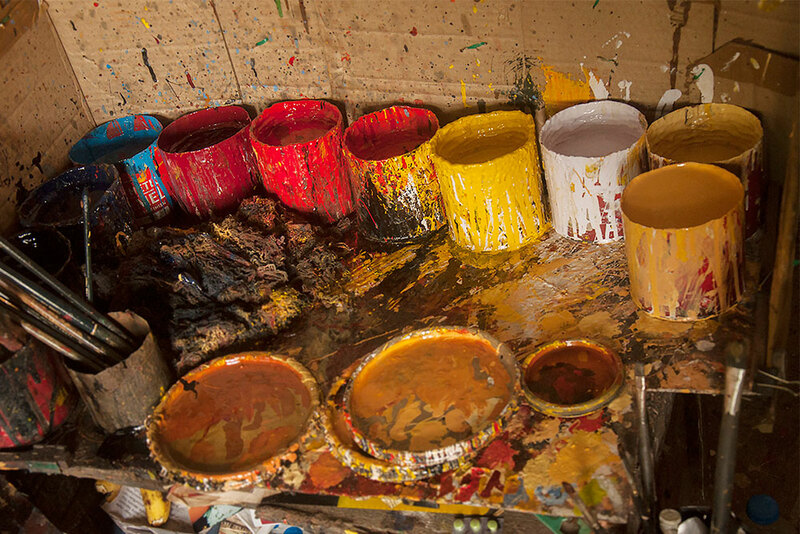 • Asian Enamel Paint - Used to paint on bamboo mat. 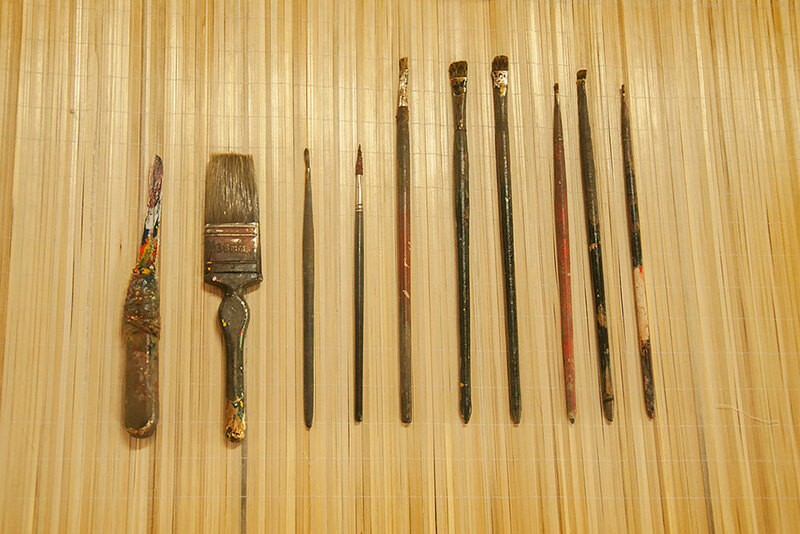 • Painting brushes of different sizes - Different sizes of brushes are used in the process of bamboo mat painting. 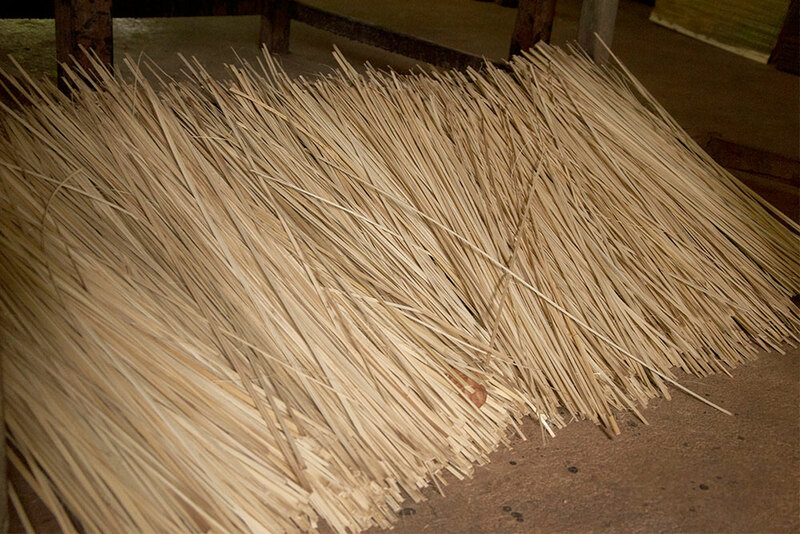 • Stencils to trace figure over the mat - Used to trace figure over the bamboo mat which is used by artisan as canvas. 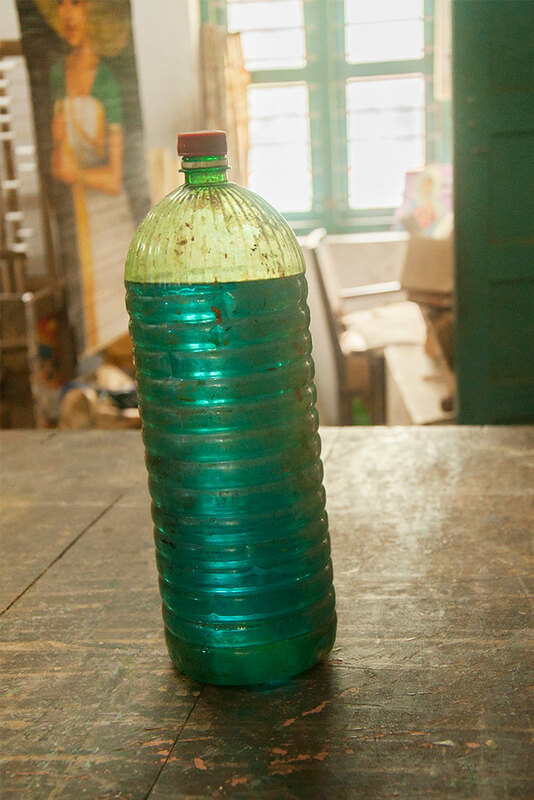 • Kerosene - Used to clean brushes.